St. Catharines, the largest city in the entire Niagara Region is located in the Southern Ontario, Canada just 15 minutes from Niagara Falls. With acres of beautiful gardens and trails framed by the Niagara Escarpment, the city of St. Catharines is officially known as the Garden City. The picturesque St. Catharines is rich with theatres, festivals and outdoor recreation. Trails, parks, sky diving, boating, skiing, rowing and fishing are some of the outdoor recreational activities available for visitors. 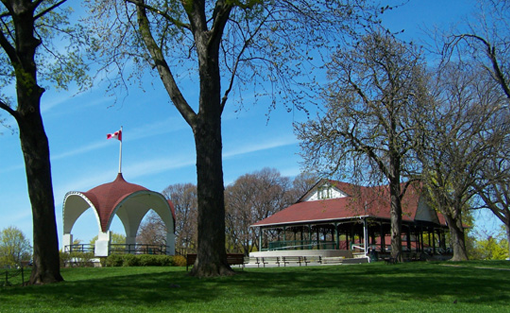 The major recreational parks in the city are Montebello Park, Lakeside Park and Woodgale Park. If you like your time spending with birds go to Happy Rolph, is a Bird Sanctuary that includes both migratory and native birds. Find sheep, pigs, horses and different pet animals in the Happy Rolph's petting farm. The walking path of the sanctuary leads visitors to a beautiful monument built to Canadian victims of the 9/11. The Burgoyne Woods and Dog Park is located in the Downtown area. People can also visit Ontario Jaycee Gardens, a horticultural park spread across 8 hectors with beautiful plants and flower displays. Another popular attraction in St. Catharines is Walker Arboretum at the Rodman Hall Arts Centre is known as botanical garden. Tourists and residents from all over the Peninsula flock to St. Catharines to shop at Niagara's largest indoor Shopping Mall, the Pen Centre. Find time to visit St. Catharines wineries. The wine regions are famous for its splendorous Wine Festival, which takes place every Fall is one of the oldest, consistently run Festivals in Canada.